We all have grown up watching Bollywood flicks where people gulp down glasses of Thandai and enjoy the festival like nobody’s business. The sweet sips of Thandai are so rejuvenating especially on a tiring sunny day. 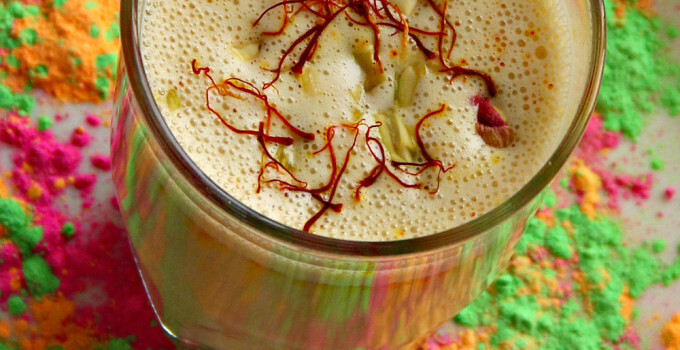 This simple-looking beverage comes with the yummy flavours of spices, dry fruits, and of course, the goodness of milk. For getting that filmy intoxicating Holi Celebration hangover, all you need to do is add bhang to your thandai and there you go! Now who can talk about Holi Celebration food and not think of gujhiyas? These lip-smacking sweets prepared with dried whole milk powder as well as nut stuffing are just too delicious to not eat. 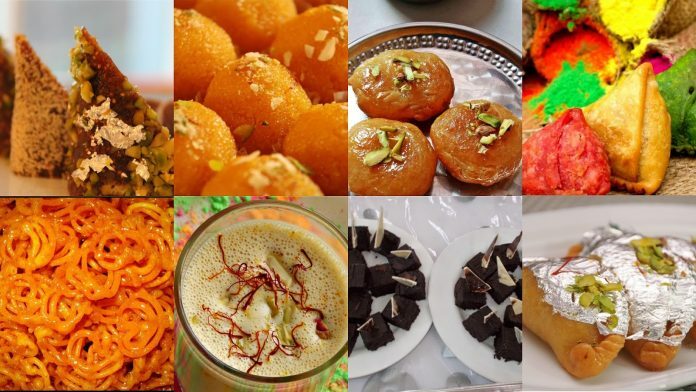 These days, there are a plethora of variations that will attract you and make your Holi Celebration tummy-liciously awesome. 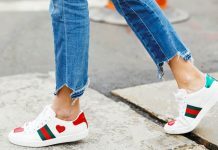 Although many booze lovers use the festival as an excuse to get drunk, most of them prefer the classic Bhaang to keep the Holi Celebration vibe and tradition alive. Even though it gets you high, it an actually a very nutritious and refreshing drink. 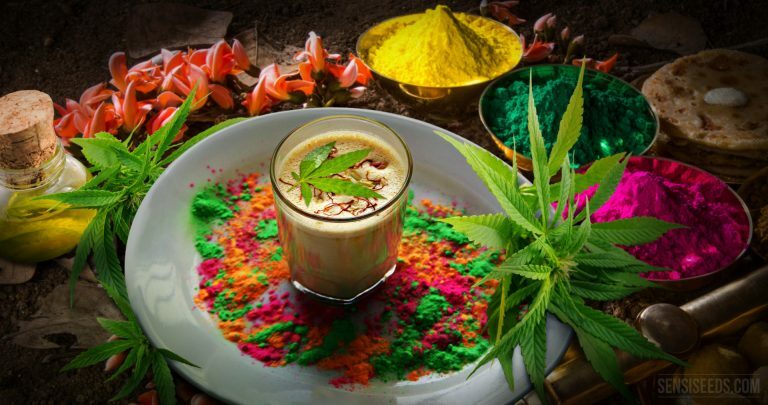 The beverage is often linked to Lord Shiva and people consume it in many forms- ‘Bhaang Lassi’ and ‘Bhaang ki Goli’ which are tiny chewy balls made out of bhang, sugar and ghee are two of the most famous bhang items on Holi Celebration. 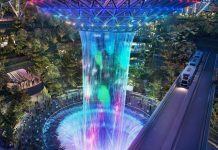 You need to try it at least once what that amazing experience. 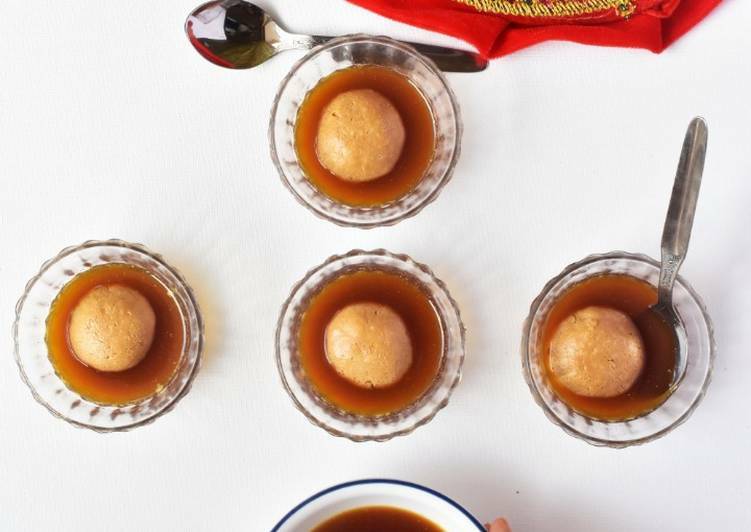 If you are a Bong or have lived in Bengal, you know the Bengalis love for anything even remotely related to roshogulla. 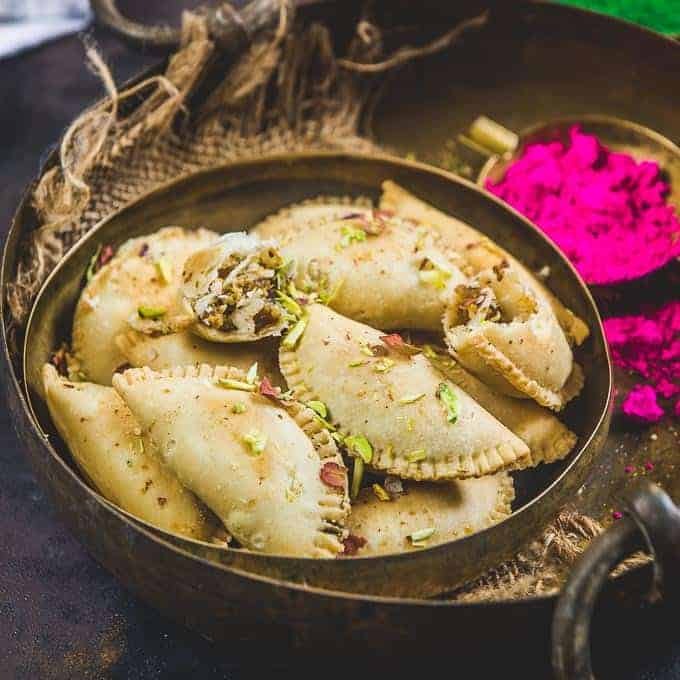 On Holi, which is also known as Dol in Bengal, the people like to prepare Nolen Gurer Roshogulla from liquid jiggery and these sweets taste just divine. The spongy roshogullas dipped in syrup are just out of the world. Try it for once and then you’d know what the hype is all about. 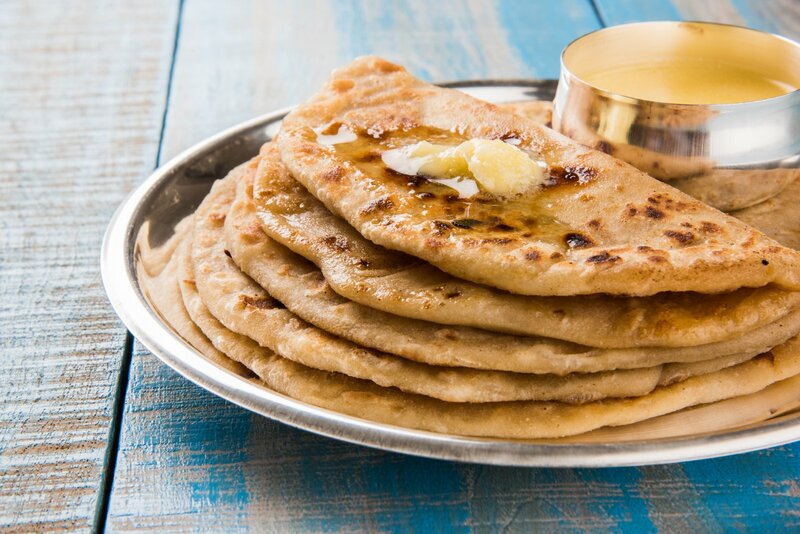 Puran Poli is a sweet dish mostly savoured in Maharashtra. 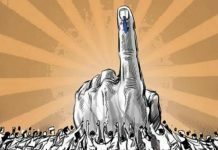 It is also famous in Andhra Pradesh, Goa and Gujarat. The dish is made out of flattened sweet bread, jiggery and wheat flour along with an array of spices and condiments. 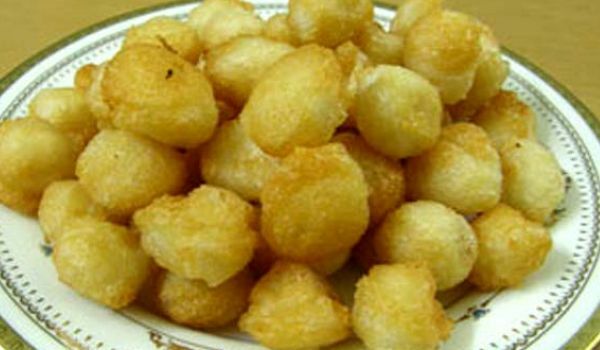 It is a must-eat in Maharashtra and people go all gaga over it especially in this festival. This savoury delicacy is made out of rai and urad dal and is a famous Holi Celebration snack. These are a perfect fix for your hunger cravings as they are rich in taste and filling to your tummy. If you love savoury over sweet, then you are surely going to love this delight. While talking of refreshment and rejuvenation, how can we miss out on curd? 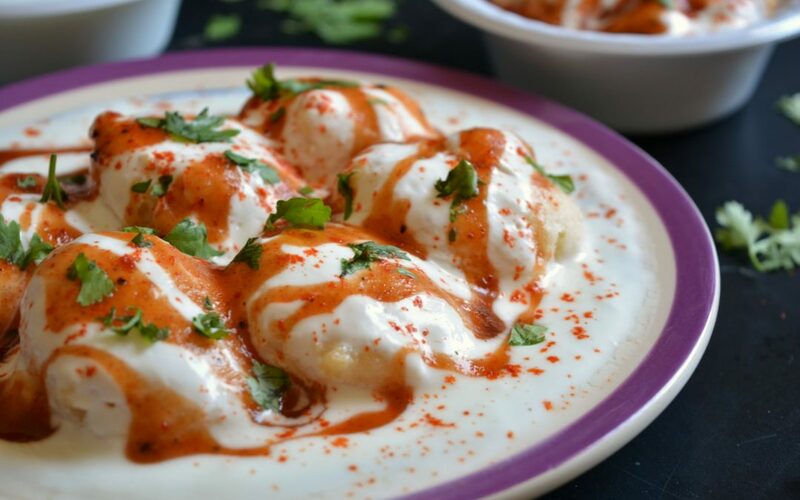 Dahi vada is a cult favourite and is no less than a plate of blessing in a sweaty, scorching afternoon. Made with lentil dumplings of moong and urad dal, the vadas are dipped in curd (dahi) and eaten with chaat masala, chutney and cumin powder. The mix of salty, sour and sweet taste of this dish is worth dying for. So these were all the yummy dishes without which every celebration of Holi Celebration is just incomplete. Get your cooking pans ready and start preparing these awesome items to please your tummy and make your day. Previous article8 Rocking Holi parties that you can be a part of in Delhi.